CAPE TOWN: It is not only some South African government officials, cadres of the ruling African National Congress (ANC) and high ranking officers of state utilities, that are on the gravy train. Perhaps the biggest greed culture is amongst South African banks whose banking charges and fees are the highest in developed countries. Unfortunately, Islamic banks and windows in South Africa are no exceptions, fueling further cynicism about Islamic banking in the country. For the ANC government, who refused to go to the International Monetary Fund (IMF) for financial loans on the grounds of revolutionary ideology when Nelson Mandela became the first black president of the new South Africa in the early 1990s, it is the ultimate irony that successive administrations have failed to rein in the banks who even charge people to deposit and withdraw cash from their current accounts. Investec, for instance will charge customers 11 rands for withdrawing every 1,000 rands. Banks have a litany of fees and service charges, and some so-called free banking services are either highly conditional or peripheral – charges which many customers take for granted as free in the UK and European Union. For instance, First National Bank (FNB’s) Islamic check account must have a minimum of 3,500 rands before qualifying for free banking. With both retail and business customers complaining bitterly about the ever-rising fees and customers, the government of President Jacob Zuma has started to put pressure on the banks to lower their charges and fees. ANC stalwarts such as Seddick Isaacs, who spent 13 years on Robben Island with Nelson Mandela and the other ANC hierarchy as a fellow “prisoner of apartheid” and who taught President Zuma, a fellow inmate, regret what they call the emergence of a “corporatocracy” in South Africa. The big corporates including the banks, they suggest, are still controlling the South African economy and financial system, and effectively riding roughshod over the government. They remain powerful and exert strong influence over government policy. In many respects social and economic apartheid is very much alive in South Africa, almost 17 years after the ANC was first elected to power. Muslim members of the ANC, including some high-ranking ones, agree that the situation is unsustainable, and is exacting a heavy cost for ordinary South Africans, especially at a time of economic and financial uncertainty. Only last week, Gill Marcus, the governor of the Reserve Bank of South Africa, the central bank, warned that the global economy, especially the US and the European union, may be heading for double-digit recession, which would inevitably impact upon the South African economy. Islamic banks such as Albaraka Bank (South Africa) and the Islamic banking windows of FNB, ABSA, Nedbank and Standard Bank have come under heavy criticism from Muslim customers from following the greed culture of conventional banking and in some cases actually charging higher fees and service charges than their conventional counterparts. It is Albaraka Bank, which is part of the Bahrain-incorporated Albaraka Banking Group (ABG), which in turn is a subsidiary of the Dallah Albaraka Group, headed by Saleh Kamel, that has come under a fair bit of criticism, especially from its Muslim customers and organizations. They point to a litany of charges by Albaraka Bank including the increase of a monthly penalty from 3 rands to 75 rands if an account remains inactive; a 10 rands fee for cash withdrawals up to 2,500 rands; 45 rands for each check withdrawal; a fee of 0.75 rand for each 100 rands cash deposit or part thereof; 20 rands for a post-dated check deposited; to 100 rands for an unpaid check and a host of other fee categories and charges. South African bankers privately concede that their charges are the most expensive in developed economies, but they blame the Reserve Bank of South Africa for lack of clarity in terms of policy and a lack of political will to deal with the situation. The government of President Thabo Mbeki did set up a few years ago a commission to look at the high fee structures that banks were charging. But the half-hearted approach to the issue meant that the commission dragged its feet and any policy change was effectively still-born because of this political inertia. Not only are customers of banks at the receiving end of this greed culture, but also bank employees. For instance, in the past bank employees used to get free banking services on credit cards or ATM withdrawals. But last year Nedbank for instance introduced a 50 percent charge of the usual tariff for Bank employees for the above products. The South African economy has had less of an impact as a result of the global financial crisis and the credit crunch. But local banks as elsewhere have clamped down on lines of credit that has made it difficult for especially small-and-medium-sized-enterprises (SMEs) who are faced with severe cashflow and liquidity problems. Islamic banking could have filled this void to a certain extent, but the providers of Islamic banking in South Africa not surprisingly are over-cautious and taking their cue from counterparts in other countries in the developed world. South Africa has a Muslim population of over two million and many of them are well established in business and in the professions. In Durban, they even have a Muslim millionaires club. 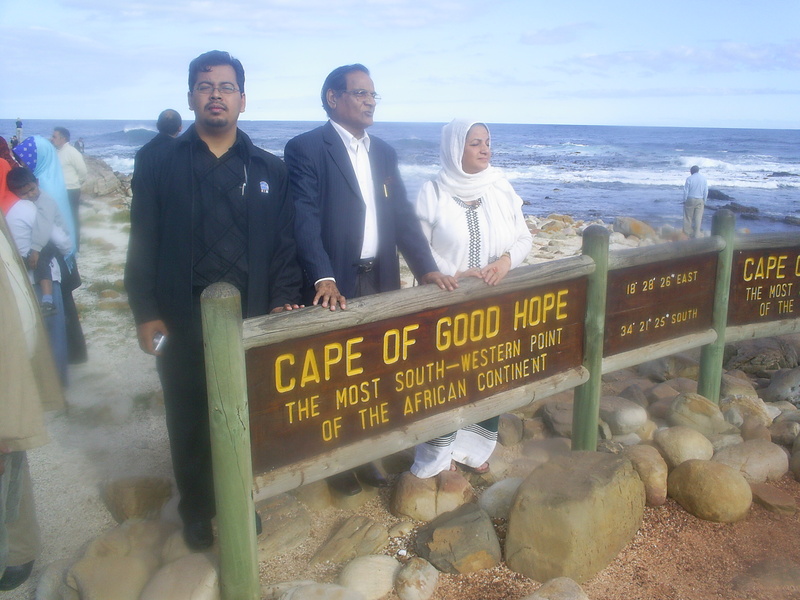 Private wealth amongst South African Muslims – largely of Indian and Malayan origin – has increased substantially especially since the collapse of apartheid. But the uptake of Islamic financial products by these Muslim-owned businesses is at best ordinary. Local experience of ownership of Islamic banks is not good following the collapse of Islam Bank Ltd. in the 1990s. There is still much naivety about Islamic banking amongst the Ulema and the ordinary Muslims, with basic assumptions such as “cost of capital” and “development costs” conveniently ignored by those critical of Islamic banks per se. The absence of the big global Islamic banks is also a factor because competition amongst the local windows and the sole Islamic bank, Albaraka Bank, is not as healthy as in other markets. HSBC is reported to be considering a bid for Nedbank. If the deal goes through HSBC Amanah may well be set to become South Africa’s “local Islamic bank” given the latent demand for Islamic bank in South Africa and the surrounding southern African countries. After all, HSBC Amanah is a dominant player in markets in the GCC and Malaysia. is a no no.Not yet.Failure is not an option. into sound theories and practice by they themselves harnessing private funds and embark on PLSharing projects.If they fail, the repurcussions will not be as destructive as with their or rather the govt experimenting with Public funds. The is only one solution to rid any banking fee charges. Encourage customers to withdraw (run on the bank) their deposits. Who need the banks anyway other thank to make loans. They(banks) are welcome to charge whatever they want as money are being borrowed from them. How on earth can you charge a customer for depositing money…tha is so stupid and we all fall for…WAKE up and withdraw! !